According to some people, apocalypse 2012 is going to take place for certain ending the world as we know it and this information is based on fact, as well as myth, rumors, and out-and-out lies. Deciphering all the information available can be time consuming and frustrating. What you have to do is recognize and understand that you have no control over any natural disaster from taking place but the choices you make in preparing for these disasters can and will give you and your family the upper hand in surviving a disaster, including Apocalypse 2012. Our universe is a very violent place and Coronal Mass Ejections or CMEs, asteroids, comets and other unknown and undiscovered objects can and have in the past caused cataclysmic destruction on earth. Whether extraterrestrial objects, earthquakes, volcanoes, or other weather phenomenon here causes the disaster on earth, being prepared for a disaster is the best thing you can do even if the Apocalypse 2012 doesn't take place on December 21. The CMEs that take place in our sun releases billions of tons of energy and according to NASA solar flares and CMEs are the biggest explosions in our solar systems equaling the power of one billion hydrogen bombs. One of the largest CMEs ever recorded took place in 1859 disrupting services in America and Europe of a very young technology called the telegraph. If the same storm hit earth in 2012 the damage to infrastructure that depend on electricity would be catastrophic. This is because the interconnectedness of virtually every critical infrastructure in 2012 is part of how our society functions. The CME of 1859 was classified as a fast CME reaching earth in only 17.5 hours making it almost impossible to take any precautionary measures unless you prepare before hand when such an event takes place again. 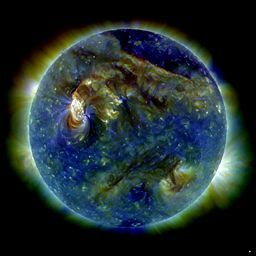 Solar storms, considered minor compared to the 1859 event, in 1994 caused major malfunctions to two communication satellites, and a storm in 1989 in Quebec caused a power outage that lasted nine hours affecting six million people. A report by the National Academy of Science in 2008 titled Sever Space Weather Events - Understanding Societal and Economic Impacts outlined how vulnerable modern society has become. The interdependency that is responsible for all the conveniences we enjoy is also what makes us defenseless to events such as CMEs. The majority of power transformers in the US that are vulnerable to CMEs and other solar storms, and subject to a probable systems collapse as a result of a major event. The scale of the damage would be unprecedented affecting more than 130 million people. Bruce Tsurutani, a plasma physicist at NASA's Jet Propulsion Laboratory, was asked if a perfect storm such as the one in 1859 could take place and when. He responded by saying, "I tell people it could, and it could very well be even more intense than what transpired in 1859. As for when, we simply do not know". Our dependence and faith in modern technology has to be taken in context looking at the whole picture and we have to realize it can not protect us from what is taking place in the universe every second of everyday. 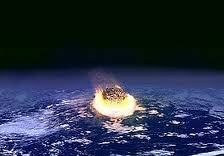 The asteroid responsible for the extinction of the dinosaurs is believed to be the result of a collision between two asteroids. This collision sent one large piece in a trajectory that would eventually collide with earth, dramatically altering the planet forever. A strong evidence of cosmic collision was demonstrated in 1994 when the comet Shoemaker-Levy 9 was breaking apart sending 21 different pieces into Jupiter. Some of the pieces were as large as two Km in diameter or 1.2 miles. An impact with a piece this large on earth would have caused global catastrophe. The WISE or Wide-Field Infrared Explorer has archived more than 157,000 asteroids in the main belt and out of these 33,000 are objects classified as part of the NEOWISE activities. In addition to these objects another 500 have been classified as NEOs along with 120 comets. With hundreds of thousands of asteroids in the main asteroid belt it is not a question of if happening, but when a collision take place that results in a catastrophic event here on earth. One of these collisions can be responsible for a possible apocalypse 2012 but as in the asteroid that destroyed the dinosaurs it didn't kill everything. Assessing any threat and learning to protect your self from it can give you a clear advantage in surviving such an event. 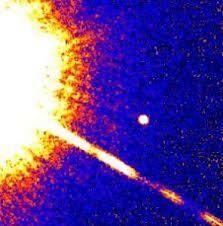 Some information being disseminated is that a brown dwarf will collide with earth causing the apocalypse 2012 scenario. A brown dwarf is an object in space which is too big to be a planet but not large enough to be a star. To give you an idea of their size they can be twice as large as Jupiter. This makes the scenario of a brown dwarf suddenly appearing and colliding with earth in 2012 very unlikely because it would take a very long time and we would have seen the brown dwarf approaching long ago. Another scenario is that comet Elenin, which was discovered by an amateur Russian astronomer in 2010, will collide with earth in 2012. The comet was only two Km or 1.2 miles of pre-break up size, but as of 2011 the comet had disintegrated to a very small size, making it the cause of an apocalypse very unlikely. Surviving Apocalypse 2012 or any major disaster requires accurate information. While it is very possible and likely that a cataclysmic event can take place sometime in the future always evaluate the information claiming to be the cause of our demise. Planetary alignments and polar shifts have also been discussed as causes of apocalypse 2012. Although it is slightly possible for planetary alignments to cause strange weather phenomenon astronomers don't foresee any planetary alignments in our solar system in the near future much less in December 2012 for the Apocalypse 2012. Polar shifts on the other hand take hundred of thousands of years to occur and they have been happening on earth for a very long time. The last reversal took place over 780,000 years ago in what scientists call the Brunhes-Matuyama reversal. The reverse of the earth's polarity has not caused any destruction in the past and no reason exists to believe it will when it takes place again. 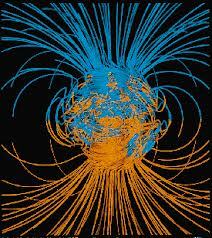 Earth's magnetic field will not disappear when the polarity shifts making the planet vulnerable to solar flares or CMEs. When the polarity shift takes place, the only inconvenience your future generation will face is buying another compass. The volatility occurring outside of our planet is also present here on earth. 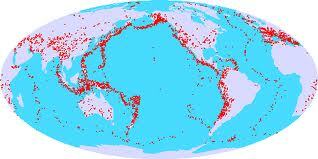 Our planet is a dynamic environment with 17 major tectonic plates which float on a layer of the earth's mantle. Underneath this layer of mantle is magma with temperatures hot enough to melt rocks. The building up of pressure and subsequent eruption results in volcanic and seismic shift, which results in major catastrophes depending on their severity. Volcanoes are classified as active or dormant and many active volcanoes in Europe, South America and the Pacific Islands have experienced eruptions in 2011. While these active volcanoes can cause a lot of disruption such as the volcano in Iceland that disrupted air traffic all over Europe, volcanologists are more afraid of large dormant volcanoes. 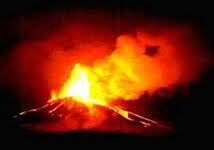 The Volcanic Explosivity Index or VEI measures the eruption of a volcano, which ranges between zero to eight. The last explosion of Yellowstone which took place more 65,000 years ago had a VEI index of eight making it one of the largest eruptions. If the Yellowstone Caldera erupted with a high VEI index, it is believed it can cause global destruction. While it is possible to give the public adequate warning as to when a volcano might erupt, earthquakes are not predictable. The magnitude 9.0 earthquake in the coast of Honshu in Japan in March of 2011 resulted in billions of dollars in damages after the subsequent Tsunami swept the coastal cities of Japan with waves that reach more than 130 ft. The Tsunami was also responsible for the destruction of the Fukushima Daiichi Nuclear Power Plant resulting in mass evacuations to avoid radiation poisoning. Some of the strongest earthquakes ever recorded have taken place in the last 10 years leaving scientist pondering if the increase in seismic strength will result in an earthquake of 10.0 in the Richter scale in the near future. Everyone from Nostradamus to psychics online claim they can predict doomsday with exact precision. As of now everyone has been wrong but this does not mean you should not prepare your family for an eventual disaster no matter where you live. Disasters can take place anywhere and anytime and the fact that we are so interdependent makes us more susceptible to a complete break down. Regarding the Mayan calendar that has prompted all of this hysteria, the calendar does not say that the world ends but that a new cycle or long-count period is going to begin just as it does for us every January 1. It is possible for apocalypse 2012 to take place, of course, but make sure you scrutinize the information you choose to believe before you sell all your belongings and give it to a charismatic doomsday prophet, but above all else be ready to survive anything.